Can you believe it’s June already? The year is almost halfway over! A new month always means one thing: new bills to pay. After paying rent, a utility bill, and a credit card bill all at once, I thought I better take another look at my projected budget for the next few months. I have two budgets: a general one of income and expenses, so I know I’m living within my means, and a projected one, so I can see more precisely where I’ll be financially at certain times in the next few months, like when rent is due or when I need to write a check for comp entry fees. I can also better time bill paying with paychecks. It’s all very carefully planned so I can continue following these crazy ballroom dreams of mine. A new month also means a new schedule of group classes at my studio. Group classes are bought separately from private lessons because every teacher at the studio is independent. I love taking group classes to supplement my privates. Getting instruction from different teachers is always valuable because everyone focuses on something different and sometimes one teacher has a way of explaining a concept that just clicks better in your head. Reviewing concepts in group that my teacher introduced in my private lesson helps me grasp and retain the information more quickly. I also like the social aspect. I get to see friends that I wouldn’t see otherwise and sometimes I get to meet new people and share in their excitement of learning something new and awesome. I always aim to take the group classes that my own teacher is teaching simply to get more time with the teacher I’m actually competing with. I can ask questions or review technique or steps in his group classes and save that time in my private lessons. And the group classes covering a rhythm dance allow me to keep up with those dances, since I want to compete in them eventually, but also give me a chance to take a class just for fun. Crazy, I know! June has a lot of good group classes on the calendar. Viennese waltz, international waltz, arm styling, foxtrot – all good classes to supplement my learnings in private lessons. Rumba and cha cha are also being offered, which I would do for fun. But unfortunately, my projected budget tells me that if I spend the money I would normally spend on a month of classes now, in August I won’t have as much as I need to put away for USDC and Ohio Star Ball. Major bummer. So it’s one of those odd times when I have to cut back on short term goals in order to move forward on the longer term goals. Even though the short term goals compliment the long term ones. It’s all about balance, I always say. But I’m bummed to think of all the fun I’ll be missing. When I’m away from the studio for awhile, like when I was sick last week, or I only go to the studio for my private lessons, which are right after work and hardly anyone is there, I feel disconnected. Some students only come to the studio for their private lessons. But that’s not enough for me. Maybe it’s because I only have single lessons, whereas others have doubles and so they can get more of a fix. Maybe they’re not addicted like I am. Maybe it’s because I started out as a studio student, not an independent. 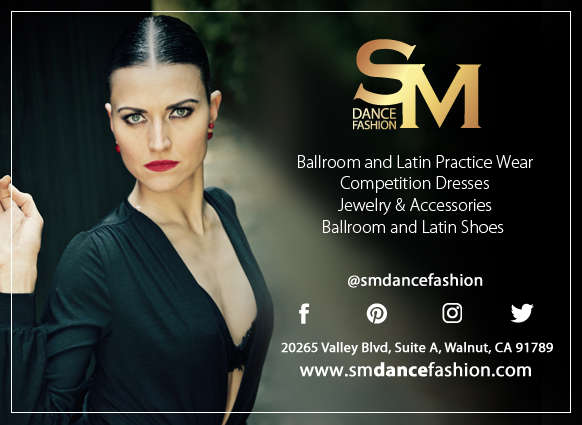 The group classes that were part of my lesson packages when I first started ballroom were just as big a part of my ballroom journey as the private lessons. Even if my private lesson was cancelled or rescheduled, I could still get my dance fix at group class. Group class was where I met and grew to know wonderful people I can now call friends. Because it’s not just about learning the dances, it’s about connecting with other people who share your passion for the dances. Sure, you connect with your teacher through private lessons. But when the lesson is over, it’s over. Teacher is on to the next student or running off to take a much needed break. Don’t forget, you’re paying for that connection. See my post on the pro-am relationship. When group class is over, I can linger with my fellow students/friends and talk about the class or what’s new in our lives or what we’re working toward next in dance. We’re all there because we want to be there, not because one of us paid the other to stay and chat. Because the connection with fellow dancers is so important to me, and I can’t expect it all from Teacher, I highly value the time that group classes have given me to connect with now close friends. Luckily, I don’t have to quit cold turkey in June. I’ve decided I can take one of the classes and still manage to save what I need for my comps in the fall. Who knows, maybe my Patreon page will get some activity (remember, this article was posted there a day before it was published on thegirlwiththetreetattoo.com). Maybe one of the hundred other avenues I’m exploring to help fund my dancing will start to pan out! Or maybe I’ll be agonizing over July’s group class calendar in a month, once again trying to decide what I can afford. Who knows. One thing is for sure – I won’t give up and I won’t stop dancing. Ok, I’m too jaded to not roll my eyes at that last sentence. It’s a little too cheesy. But at the same time, it’s completely true. So I guess I’ll leave it.